Today arki_lab has conducted an introduction seminar for high school students at Johannes Gymnasiet in Frederiksberg, who will participate in our design project over the course of their spring semester. 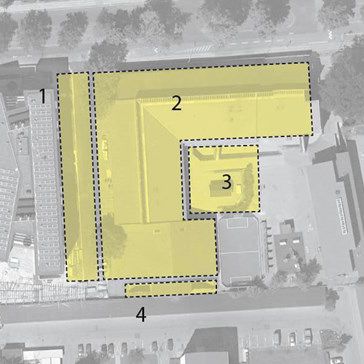 Our teaching method will enable the students at Johannes Gymnasiet to design and construct alternative learning spaces, placed on the school’s surrounding area. As the start of this process, the introduction seminar consisted of lectures that serve as an important source of professional and academic inputs for the students about urban design, architecture of enhanced learning environment and urban sustainability. After familiarizing students with the scope of the project, Jeanette introduced the topic of urban design as an outcome of user-driven approach that supports democratic planning and inclusiveness of architectural profession. The second lecture was given by Kasper Kjeldgaard Stoltz, who is a founder of Rummets Sprog – a center for analysis and design of learning environments. His lecture provided the students with an insight into the potential of architecture and design in improving spaces of learning in order to enhance students’ motivation and learning capacities. The final lecture dealt with sustainability as a crucial aspect of contemporary design and was given by Erik Juul – an architect and expert in sustainable architecture who designed the first 100% sustainable house in Denmark. The practical part of the seminar consisted of a design thinking workshop, in which students made reflections in relation to each lecture while visiting the main redesign points around the school. The onsite workshop was followed by a discussion back in the classroom, which showed that the students got engaged with the theme of the project from its very beginning. arki_lab looks forward to our further collaboration with Johannes Gymnasiet and its enthusiastic students. Stay tuned for upcoming updates on this exciting project during this spring!